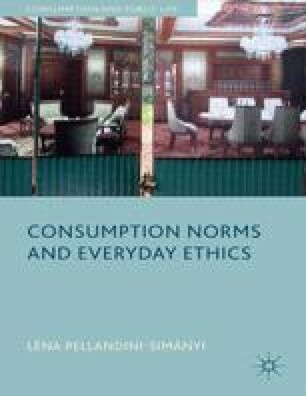 Ethical consumption movements address pressing issues that require urgent response: the use and production of certain goods contribute to global warming, others maintain inhuman working conditions and unfair wages, or involve torturing animals. Ethical consumerism constitutes a particular solution to tackle these problems. This solution has two characteristics: first, it is based on private consumer choice; and second, it requires people to subsume their everyday ethical concerns under ethical consumerist ones. This last chapter uses the arguments developed throughout the book to assess this solution and to develop an alternative one that takes better account of the nature of the problems to be handled and of the everyday ethical concerns that possible solutions need to confront. Throughout the chapter I will use the example of climate change to illustrate my points; however, its logic can be applied to other issues as well.